Abigail Clay is internationally respected in the increasingly challenging and complex world of Safeguarding and Preventing Violent Extremism (PVE) including additional expertise in the Government’s Prevent strategy. 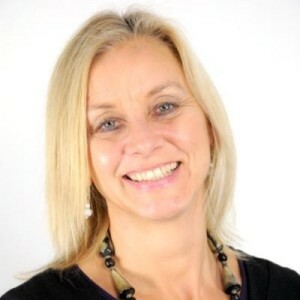 Abigail has more than 30 years’ experience in the school/FE/HE sector, including senior leadership positions in large and diverse Colleges and recent interim leadership roles. Using in-depth knowledge of the varied and complicated demands of safeguarding children and vulnerable adults, she works with senior managers to develop robust and effective policies to meet their institution’s individual needs. Supporting institutions to achieve ‘outstanding’ recognition from Ofsted through inspection for creating and implementing a range of policies and effective solutions in equality and diversity, Prevent and achievements in Safeguarding. Previous clients include the Nordic Council on pan-European efforts to counter radicalisation through education. Abigail is an active member of the EU funded Radicalisation Awareness Network (RAN). She is also a Stonewall training partner, in collaboration with NASS, and serves as a Regulation 44 & NMS20 independent visitor for residential children’s homes in the UK. Abigail is Vice Chair of the Leeds Catholic Safeguarding Commission. Abigail has significant experience of child and adult protection case work and assessment, leading investigations, disciplinary hearings and compiling Best Interest Assessments for presentation at court, in the interest of UKBA immigration appeals. Widely acknowledged for her proven track record, she is an effective collaborator with partner organisations, including national networks, police services, colleges and schools, local authorities and student bodies, to assure their very best practice. 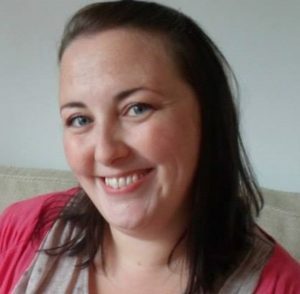 Emma Hollings is an experienced education manager and an outstanding English teacher, with 9 years expertise in managing programmes for young people with social, emotional and mental health challenges, those with high needs and those at risk of being NEET, resulting in positive outcomes for students. Emma has a proven ability to grow and manage a diverse curriculum of re-engagement courses for young people aged 16-24. Emma has particular expertise in managing young people with challenging behaviour and her management of this was recognised by Ofsted in February 2016. “Staff manage behaviour particularly well for students with emotional and behavioural difficulties who have found access to education difficult in the past. A team of specialist staff uses its expertise and experience and students now attend college regularly. They receive appropriate education linked to their personal skills development and this reflects the good progress they make into mainstream further education programmes or work. Emma has been an active designated safeguarding lead for many years and is experienced with managing challenging and complex case work within education settings. Emma is currently involved in resource development for teaching and learning which are published through on-line teaching networks. For further information about our services, get in touch via our contact page.